Imagine cruising past the other skaters like there's nothing to it. 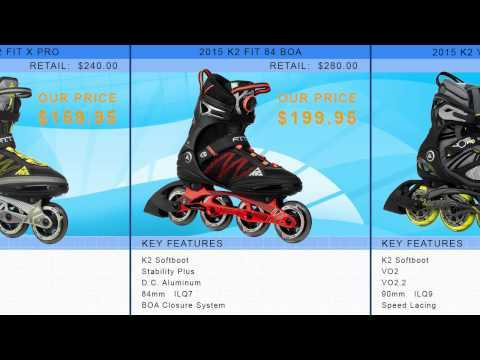 If you want to feel the wind between your hair and love the sense of speeding along then you'll love what these K2 VO2 100 X Pro Inline Skates have to offer. By utilizing the K2 Speed Lacing System, you'll be ready to go after one pull of the laces. This makes adjustments easier and closure time faster. Built on a Performance Hi-Lo Frame, you'll have a frame designed to accommodate smaller wheels up front and larger wheels in the back which makes getting up to speed and keeping your feet in correct form easy. One of the major highlights is the Vortech Ventilation System. This three-part system helps ensure your feet stay cool as you work up a sweat. No one wants to open up their skates to sweaty socks so having this Vortech System gives you the breathability, support and antimicrobial treatment to make your feet as dry and comfortable as possible. 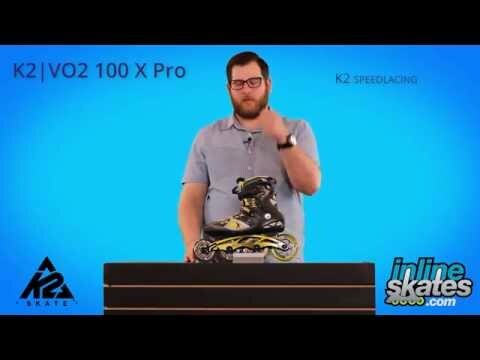 When you want a performance skate that'll make you feel like a total pro then you'll want to try on these K2 VO2 100 X Pro Inline Skates. Q: I want to replace my wheels and bearings on this skate.Do you provide a package or way to do that? 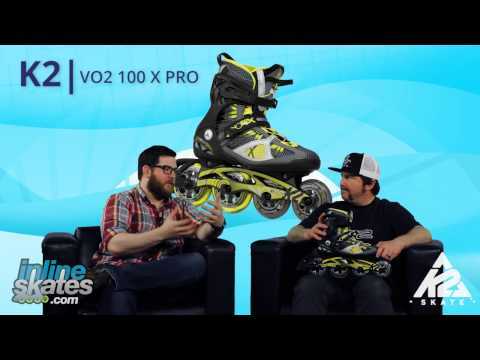 A: With the VO2 100 running a hi-lo setup you will want to purchase the wheels and bearings separately. You will need a set of 4 90mm wheels and a set of 4 100mm wheels, as well as a set of bearings. Most bearings will not come with the inner spacer that the axle threads through but you can use the existing ones in your current wheels. If you have any questions regarding how to change out the wheels please view our guides and video sections as they can offer much assistance.